Caeli Quinn goes on a bombing run with Big Mountain Ski Patrol at Whitefish Mountain Resort. 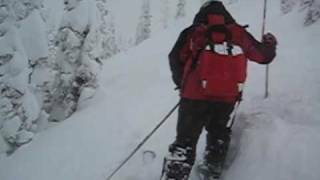 Gould Academy - Training students to become National Ski Patrol members. Evan Gorksi`s `12 latest video surveys the Gould Academy Ski Patrol program, which helps Gould students become certified members of the National Ski Patrol Evan talks with the director of the program, and Gould Spanish & Drama teacher Doug Alford,. 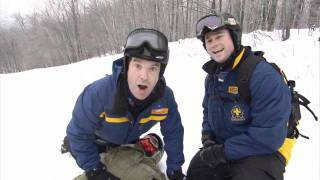 Rick takes to the slopes at Camp Fortune in the Gatineau Hills in Quebec to train with the ski patrol.